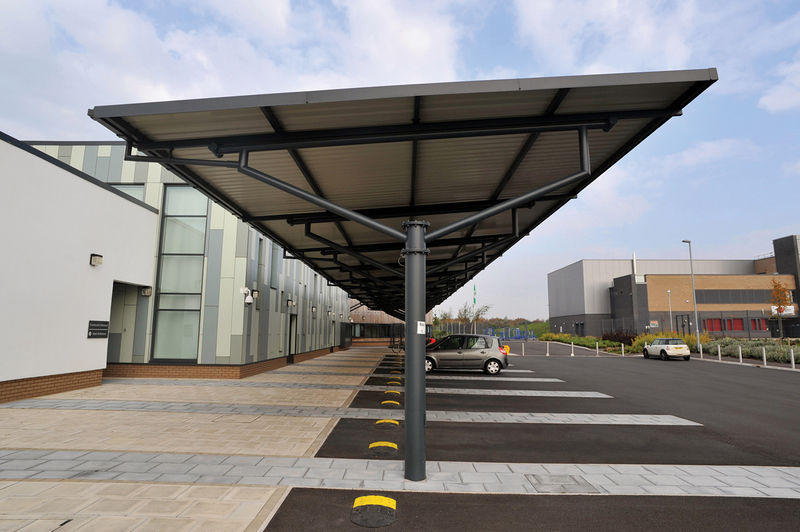 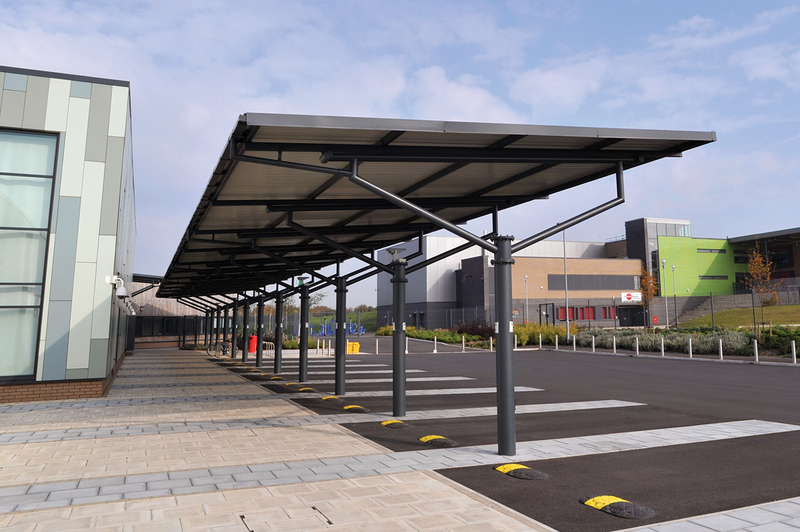 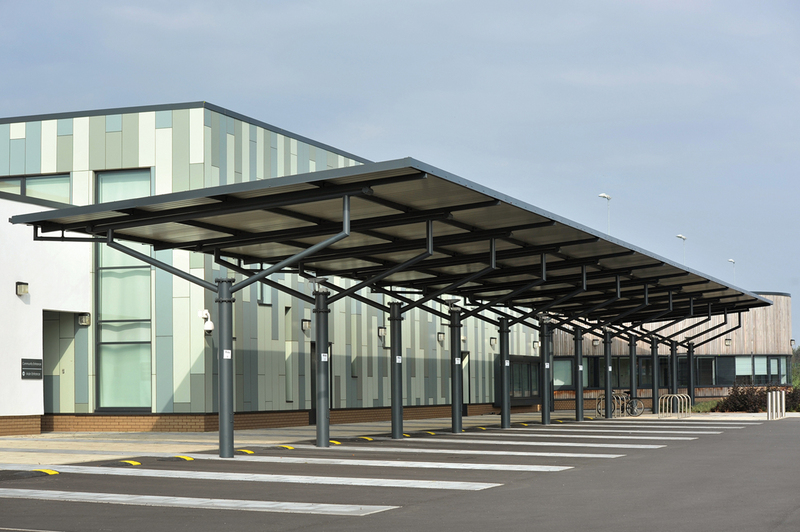 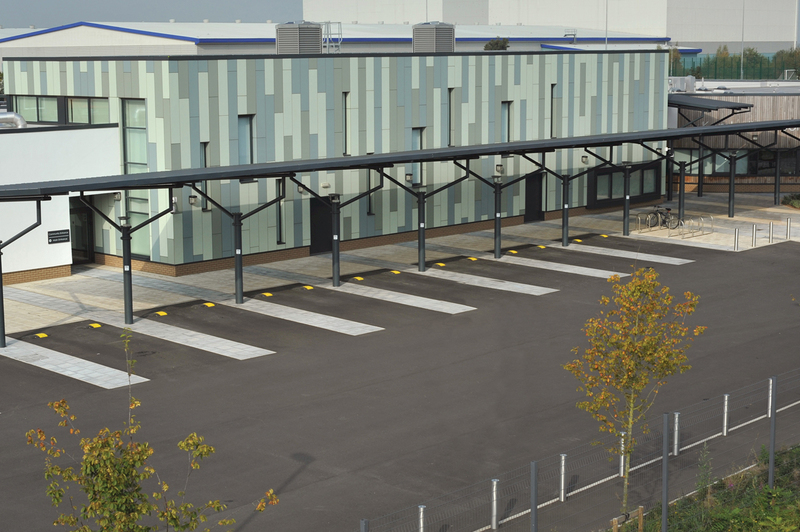 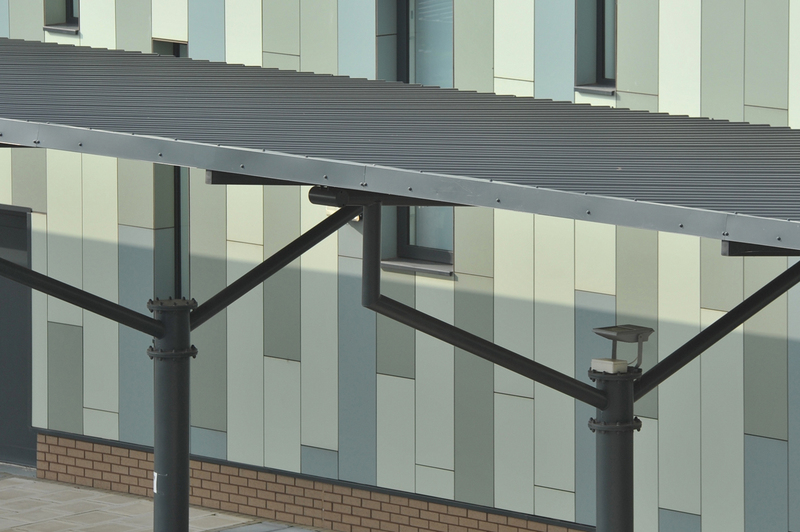 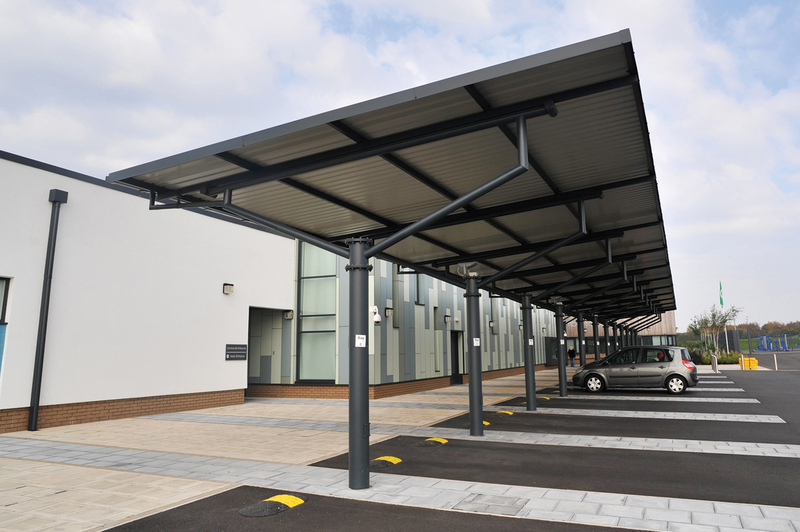 This large feature canopy is constructed of galvanized steel and is clad with colourcoat hps panels. 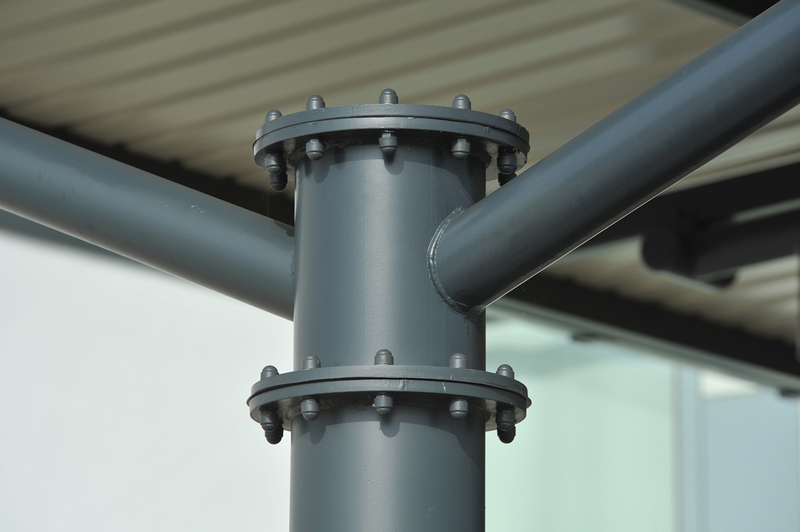 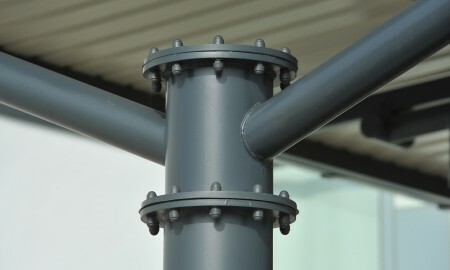 Supports are constructed of flared ‘Y’ shaped sections and circular hollow sections. 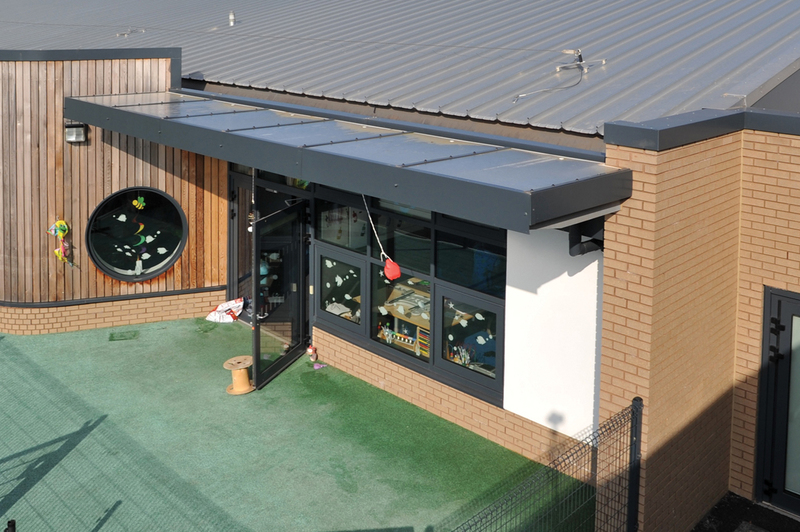 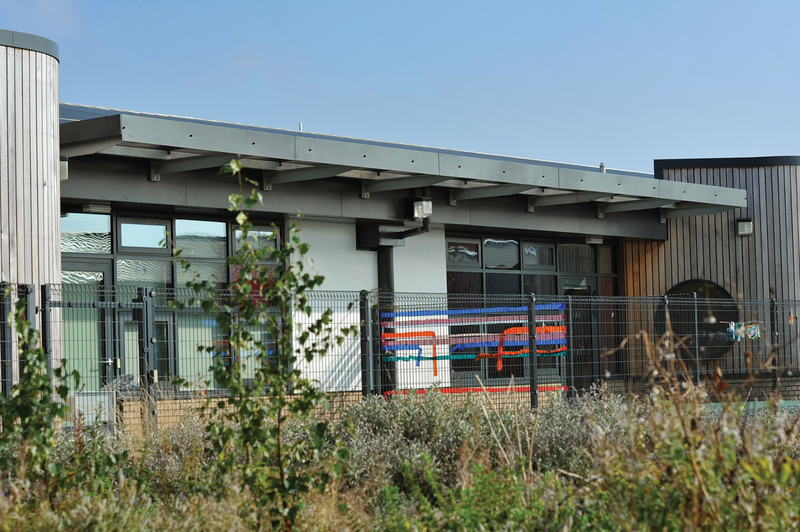 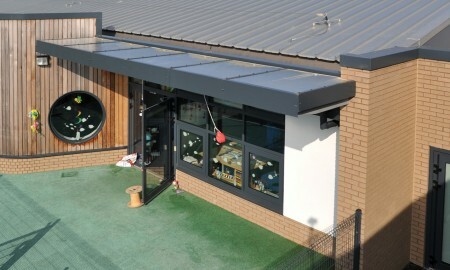 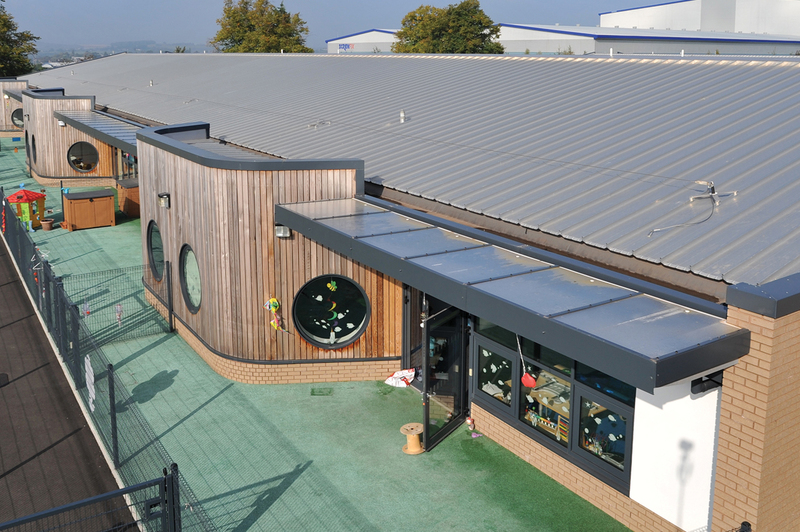 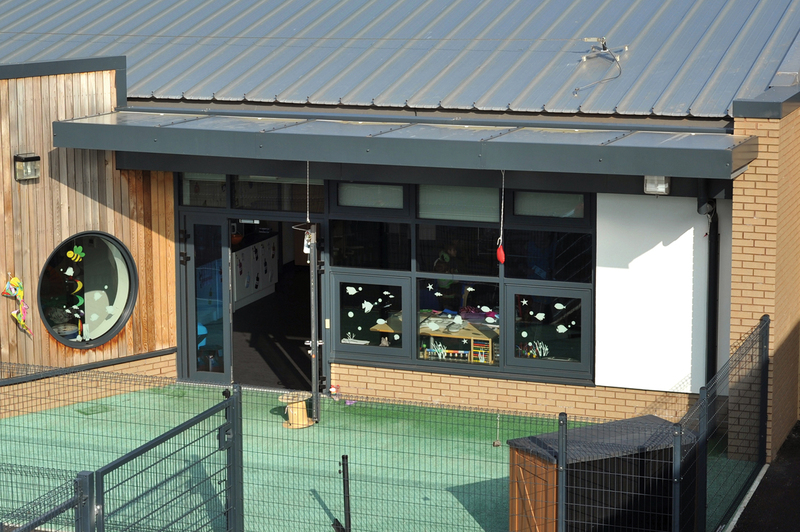 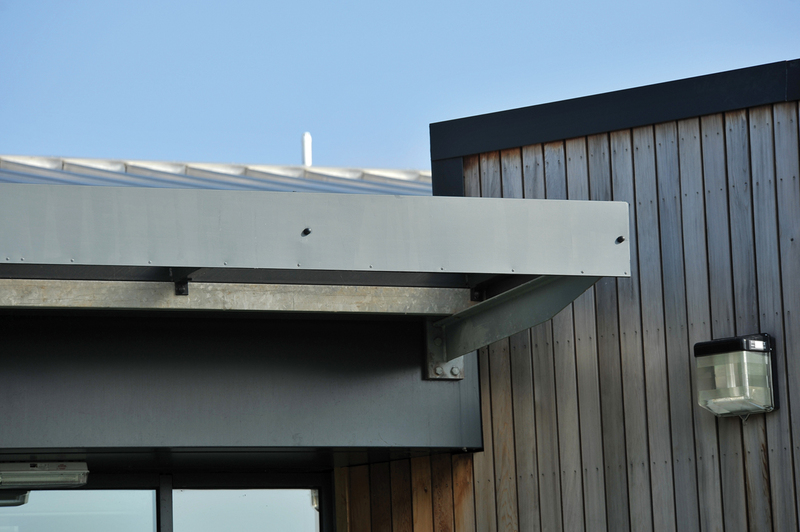 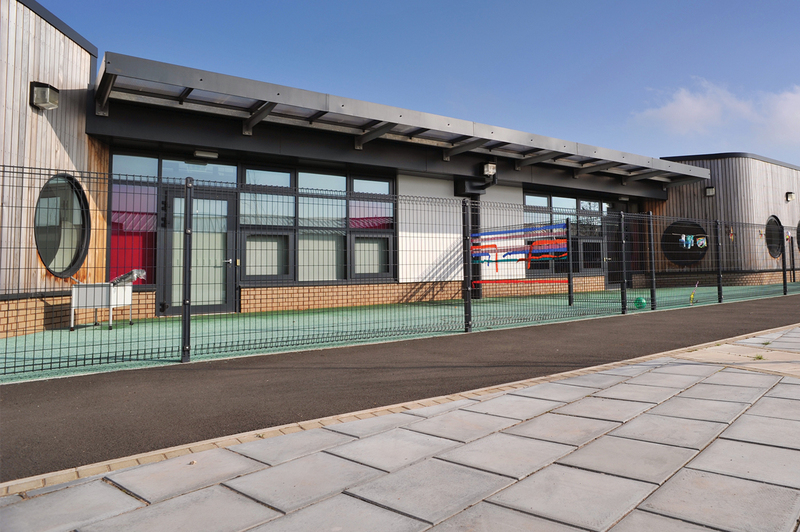 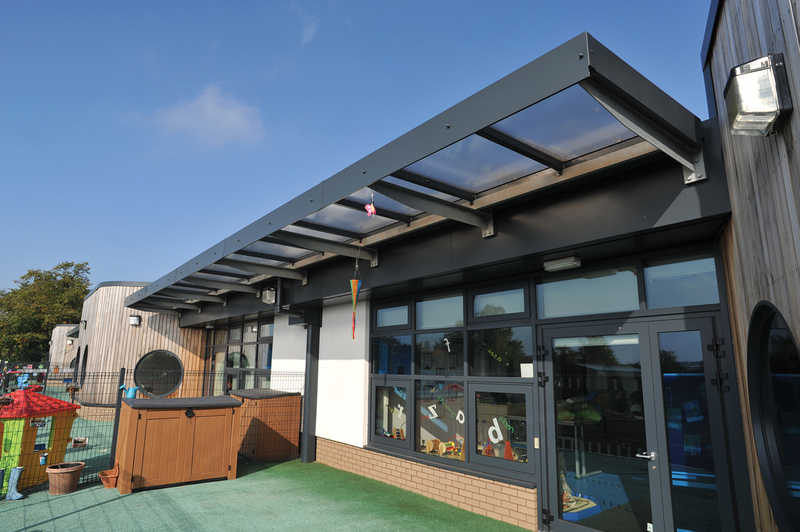 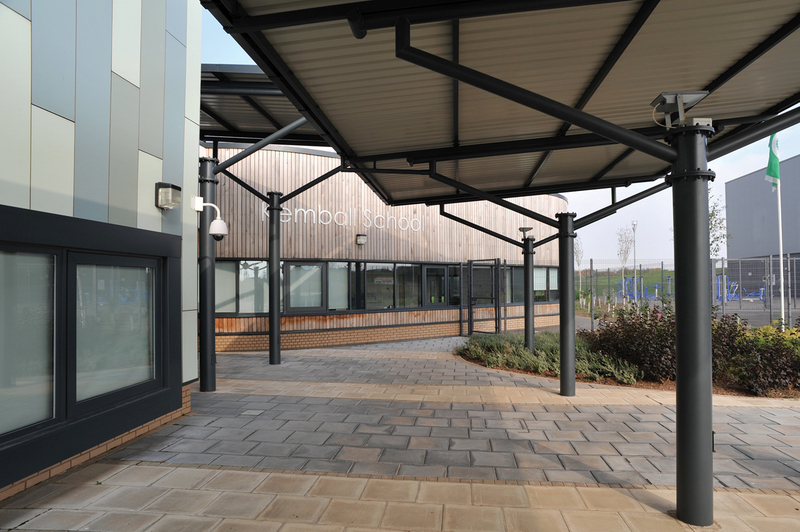 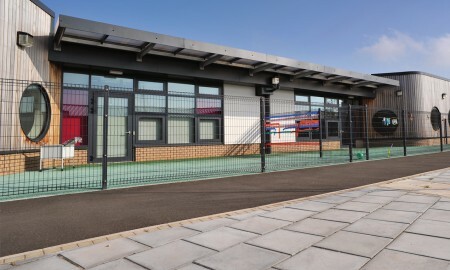 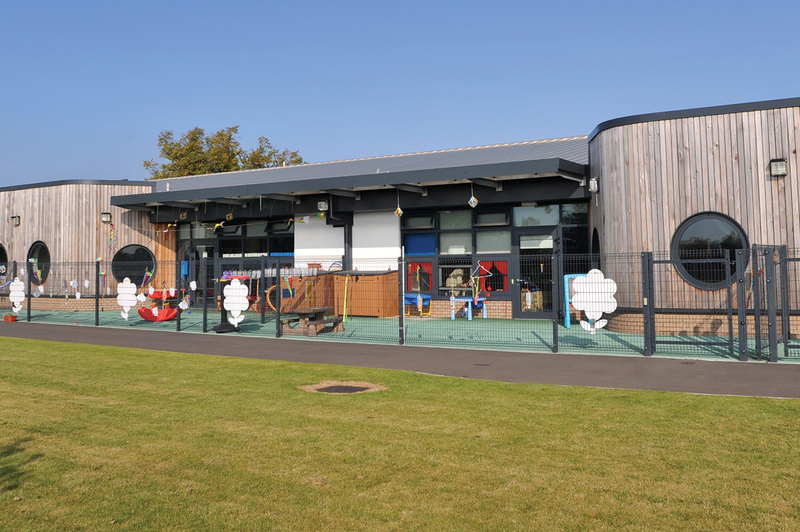 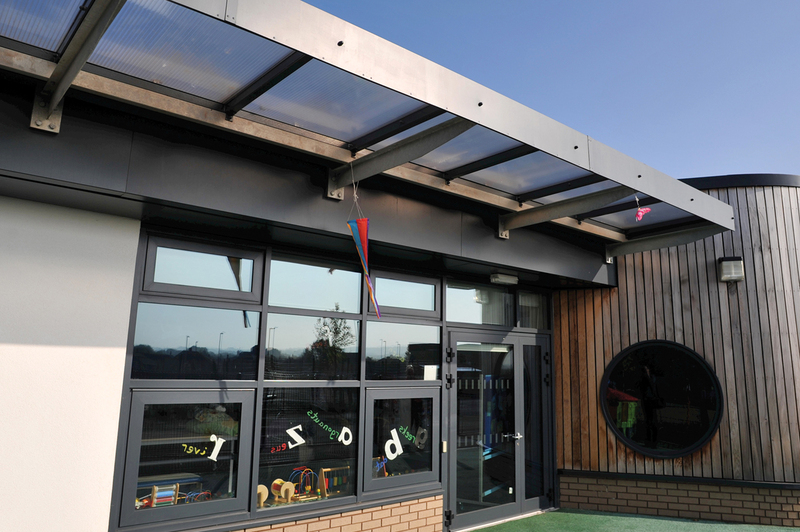 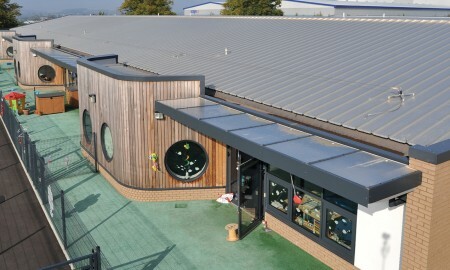 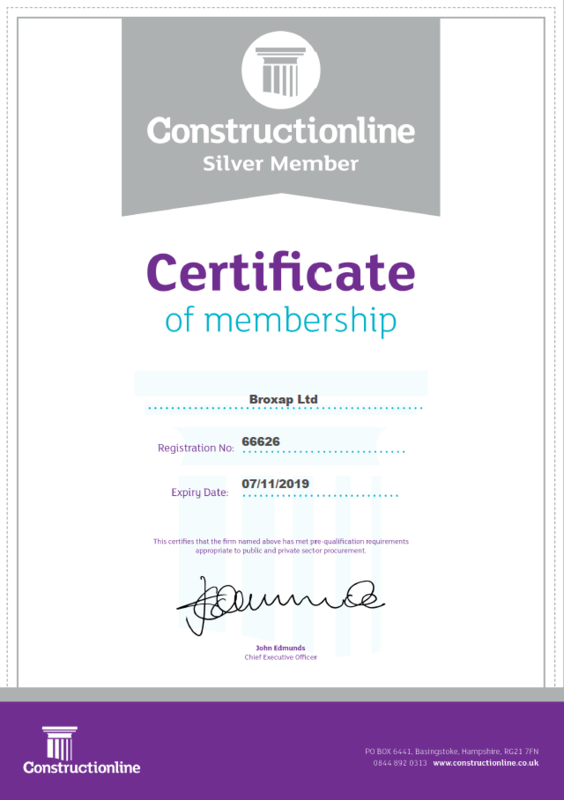 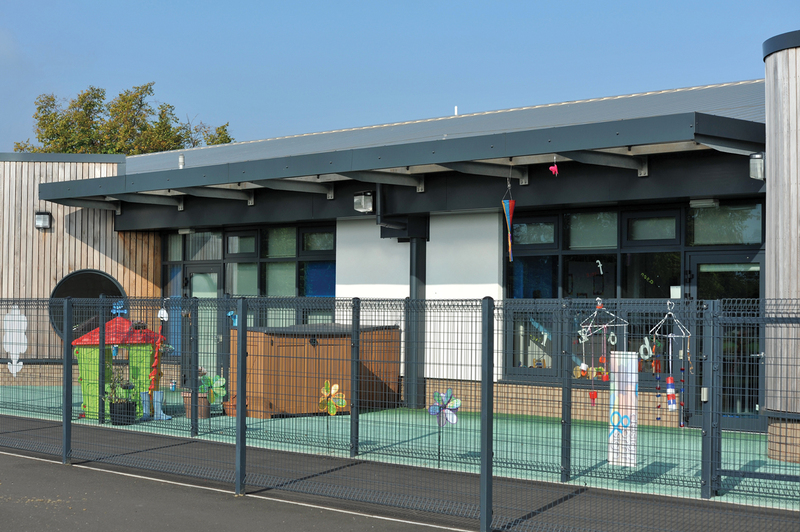 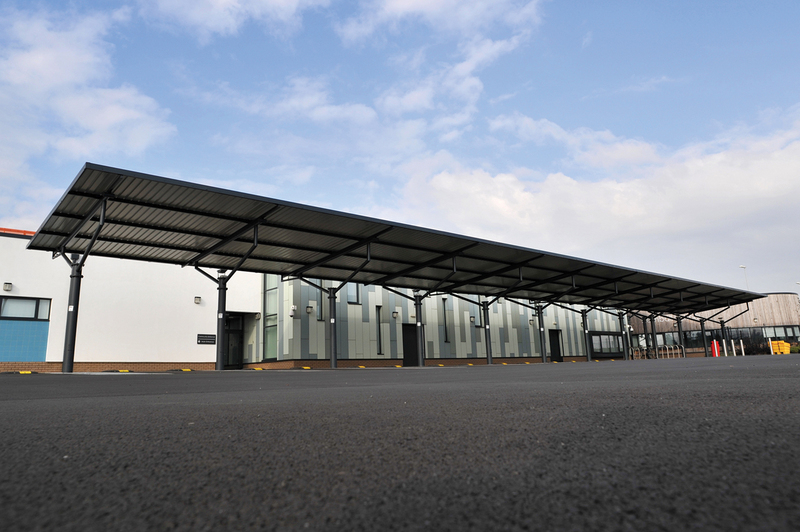 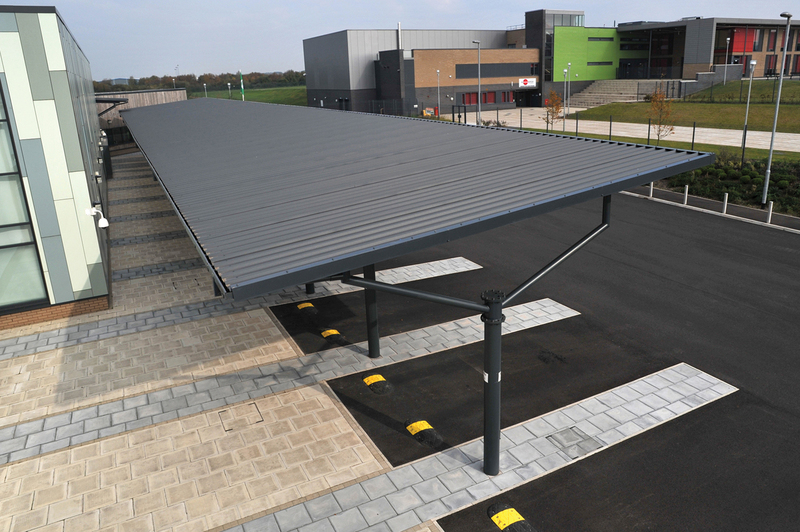 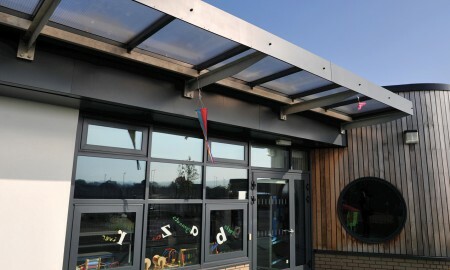 the smaller classroom canopies are again galvanized steel and clad to the front with an architecural cladding whilst roof sections are covered with 25mm structured multi-wall polycarbonate. 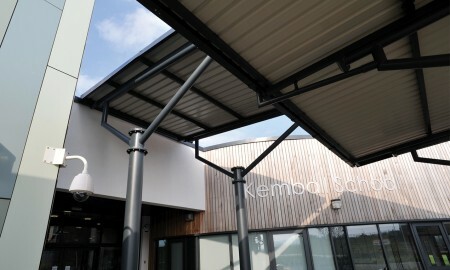 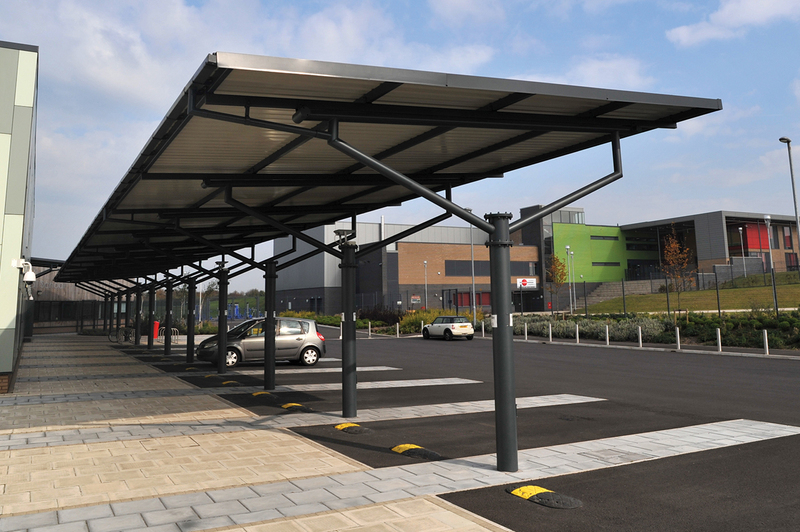 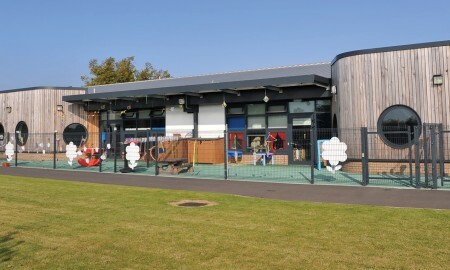 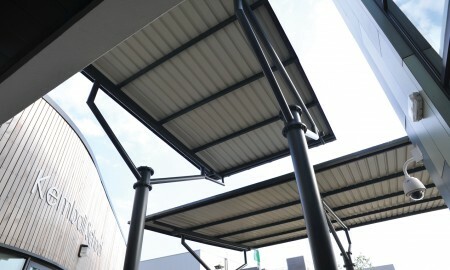 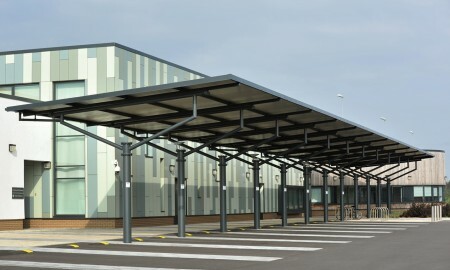 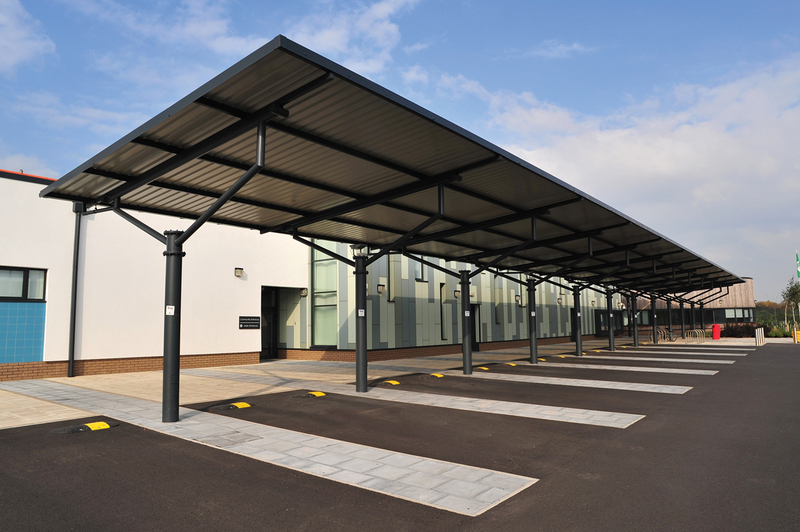 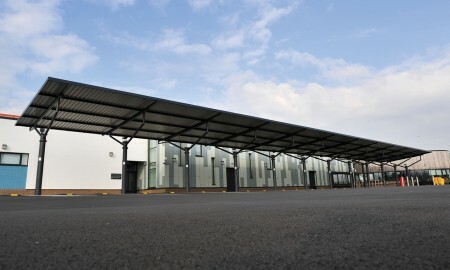 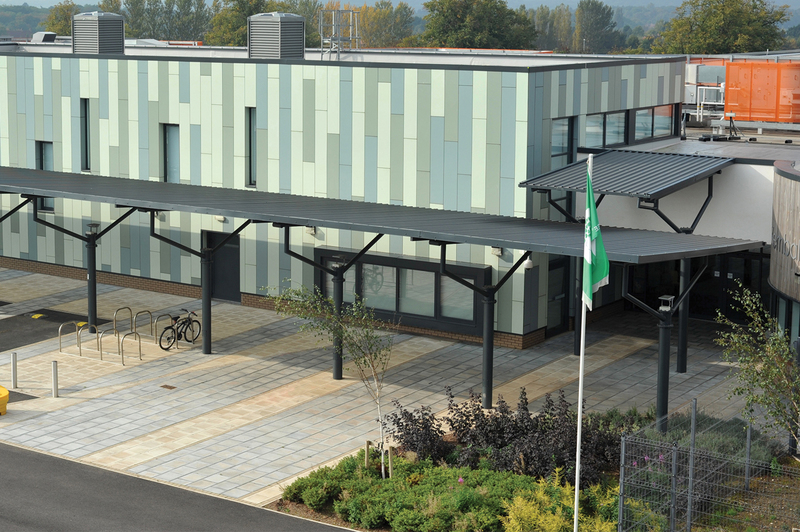 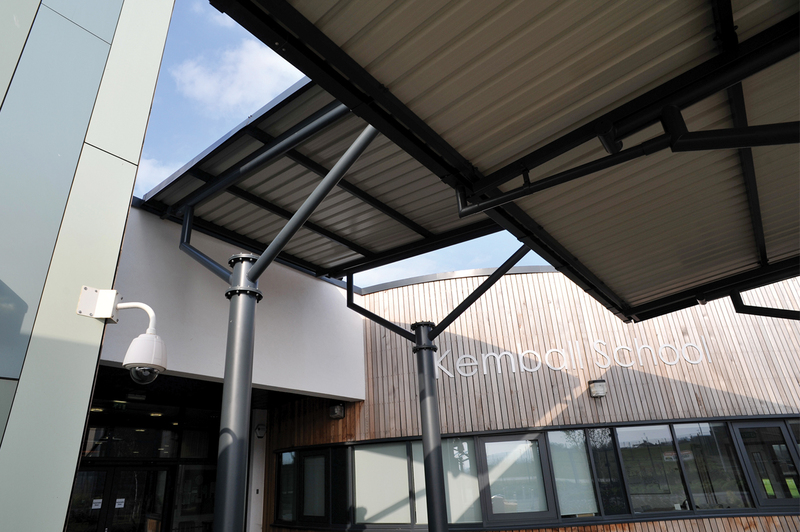 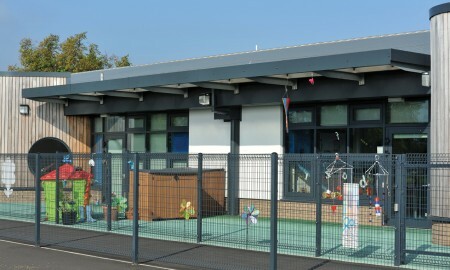 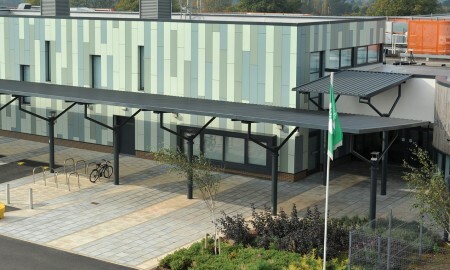 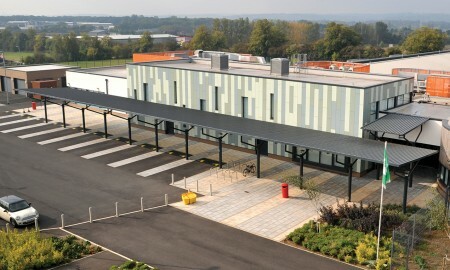 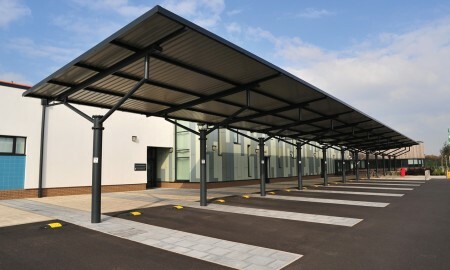 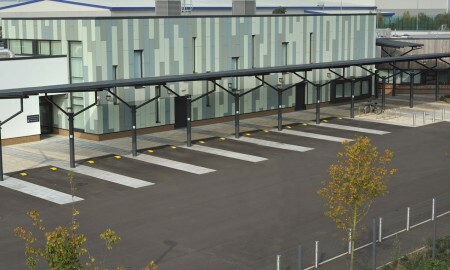 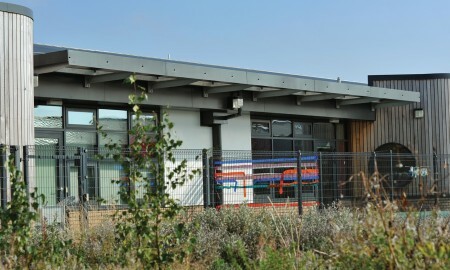 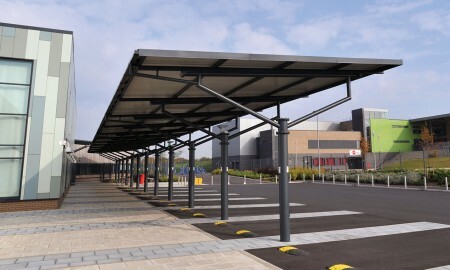 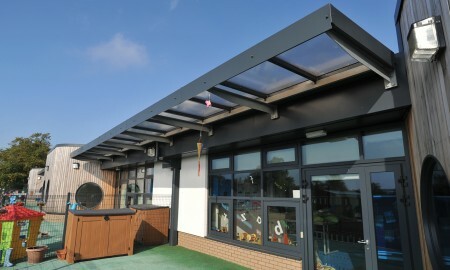 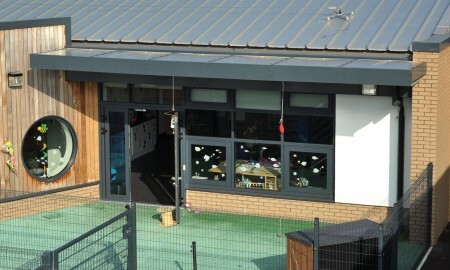 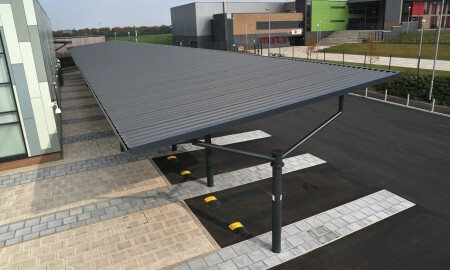 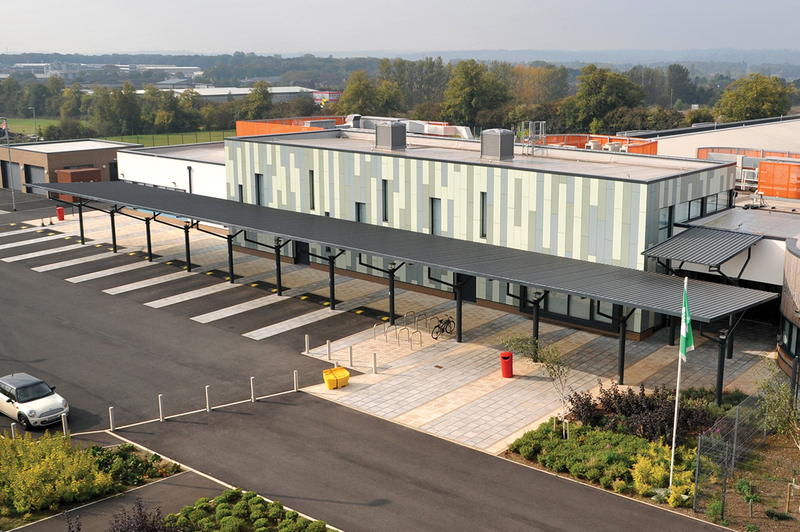 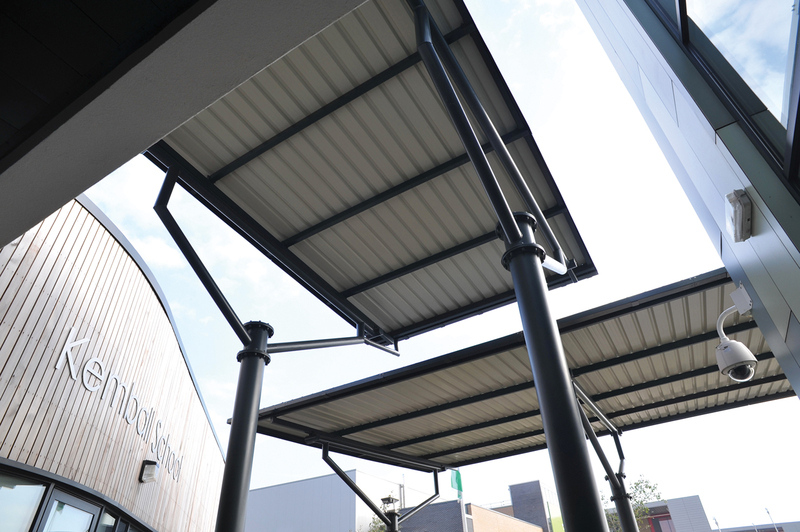 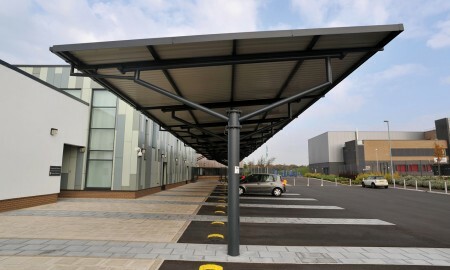 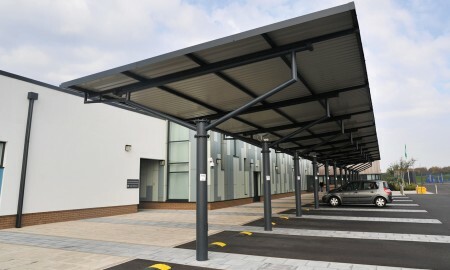 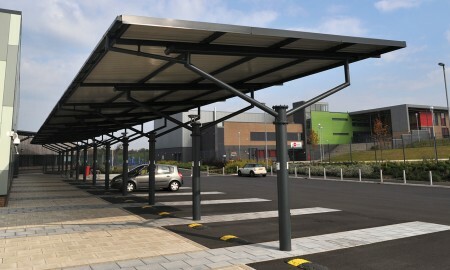 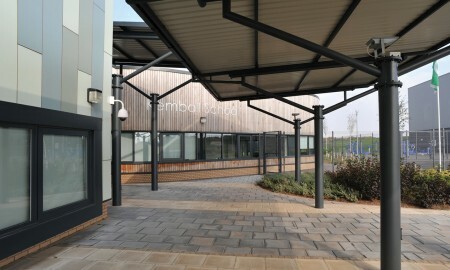 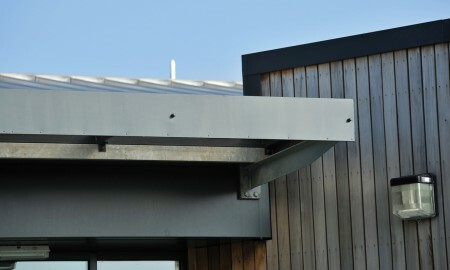 These canopies were designed and constructed by Broxap as part of the regeneration and the creation of the new school.